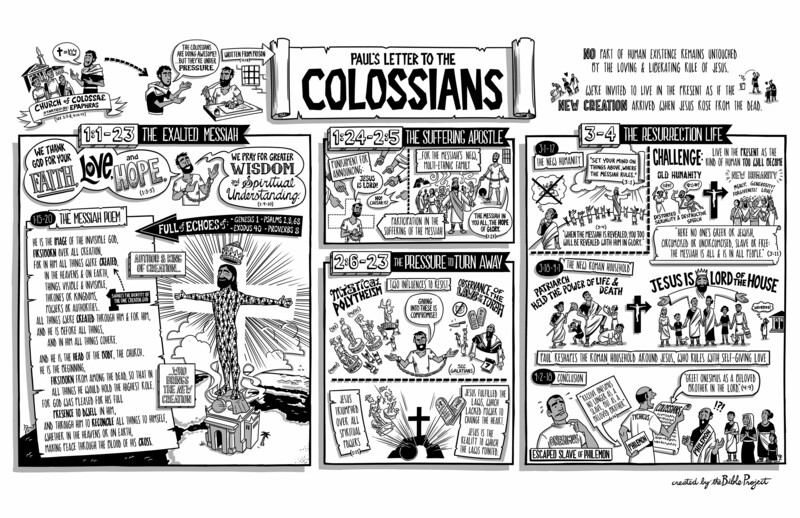 Paul and Timothy are explicitly named as the authors of Colossians (1:1). Timothy probably served as Paul’s secretary (amanuensis) since the first person singular (“I”) is used throughout the letter (e.g., 1:24). The title indicates that Paul wrote the letter to Christians living in the small city of Colossae. Although Paul has never personally been to Colossae (2:1), he knows much about the believers there and considers them one of his churches—through his coworker Epaphras (1:7-8). His primary concern is that they stand firm in what they have been taught (1:23; 2:6-16; 3:1). After a glowing thanksgiving and encouraging prayer report (1:3-12), much of the first half of the letter reiterates the truth of the gospel they have received (1:13-22; 2:2-3, 6-7, 9-15). The rest of these two chapters exposes the follies of the errors to which some are being attracted (2:4, 8, 16-23). One may rightly guess, therefore, that the emphases in Paul’s recounting the gospel are also there in response to the errors. ESV: Study Bible : English Standard Version. Wheaton, Ill: Crossway Bibles, 2008. 2289. Fee, Gordon D, and Douglas K. Stuart. How to Read the Bible Book by Book: A Guided Tour. Grand Rapids, Mich: Zondervan, 2002. 359-360.